This is a guest post by my Dad, Peter Boyd-Smith. 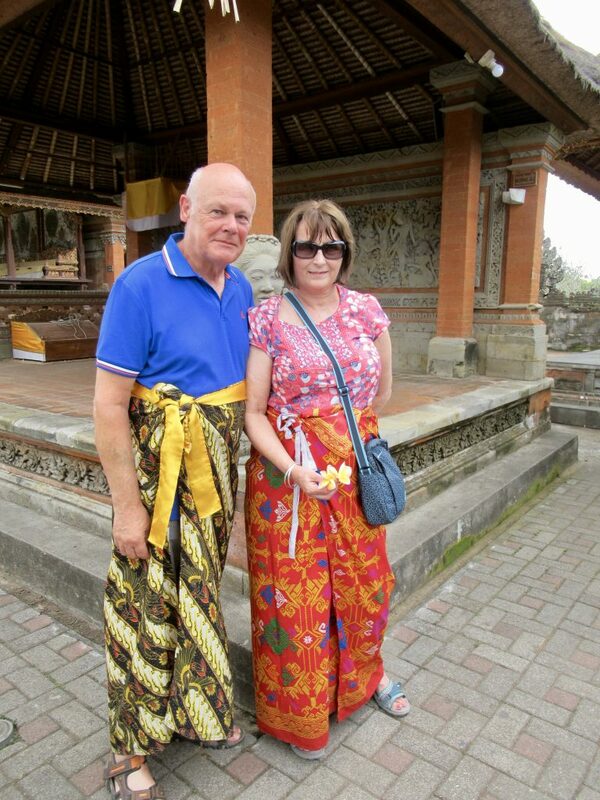 My parents (Peter and Jan) set sail on a seven night Eastbound cruise from Benoa, Bali in June 2018. 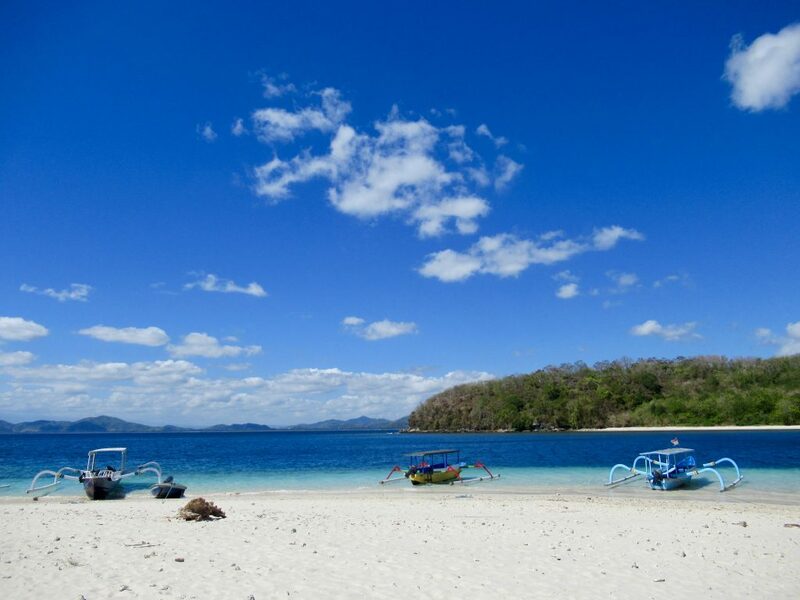 They had stops in Lombok, Komodo, Satonda Island and Bali. 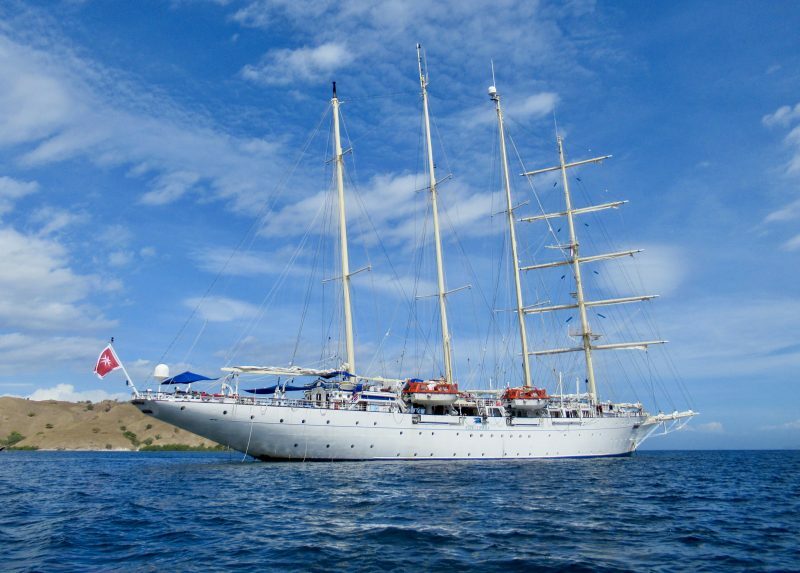 Star Clipper is one of three sailing ships in the Star Clippers Cruises fleet. The others are Star Flyer (sister ship) and Royal Clipper, the largest sailing ship in the world. The ship was constructed in the early 1990s, measuring a total of 115,5 metres with a mast height of 63 metres and a GRT of 2,298. There are four masts in total. 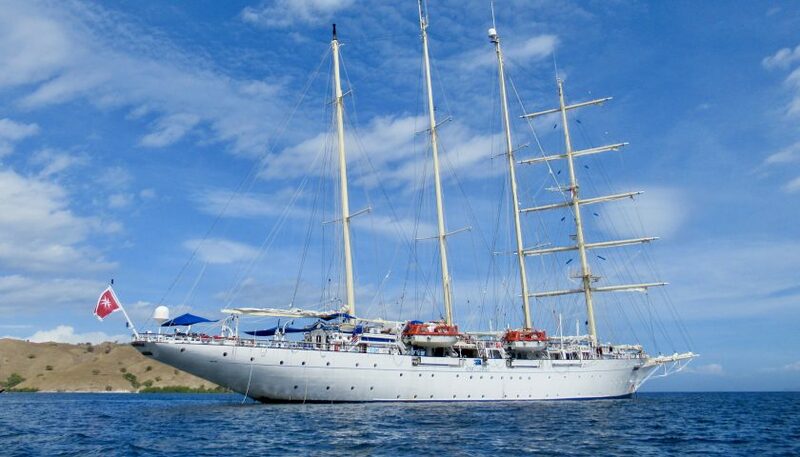 When sailing at full capacity Star Clipper holds 170 passengers. 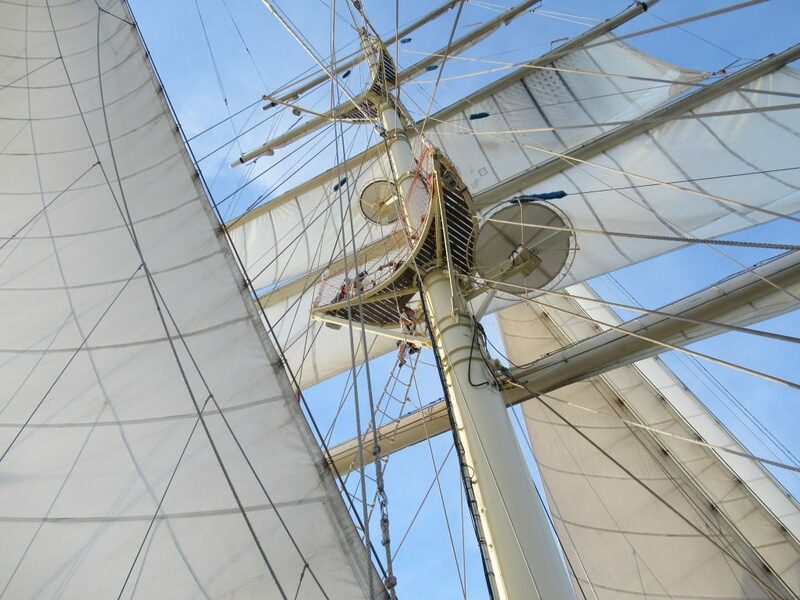 A Star Clippers cruise is different to any other type of cruise holiday we’d been on before. 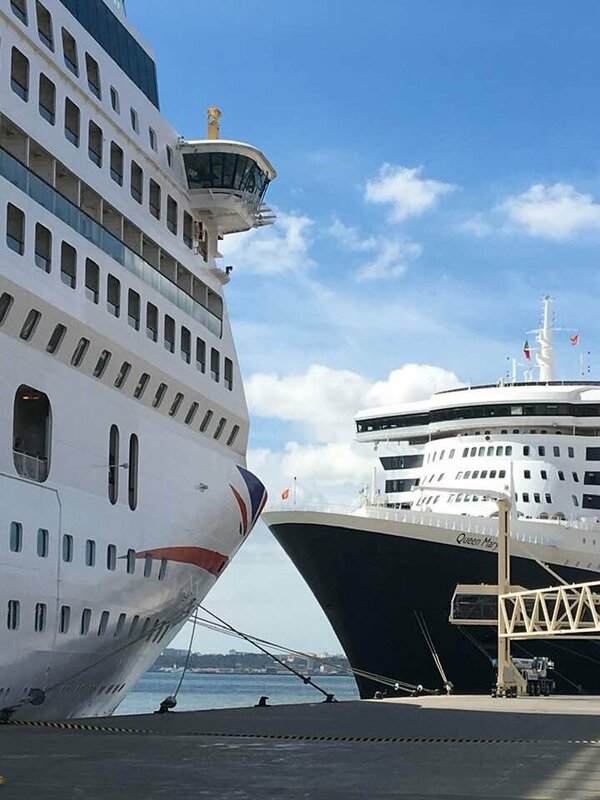 The cruise line encourages a relaxed and easy-going atmosphere, which is reflected in the dress code, small ship size and activities on offer. Both before and after our cruise we stayed in a local Novotel hotel having flown into/out of Denpasar airport. 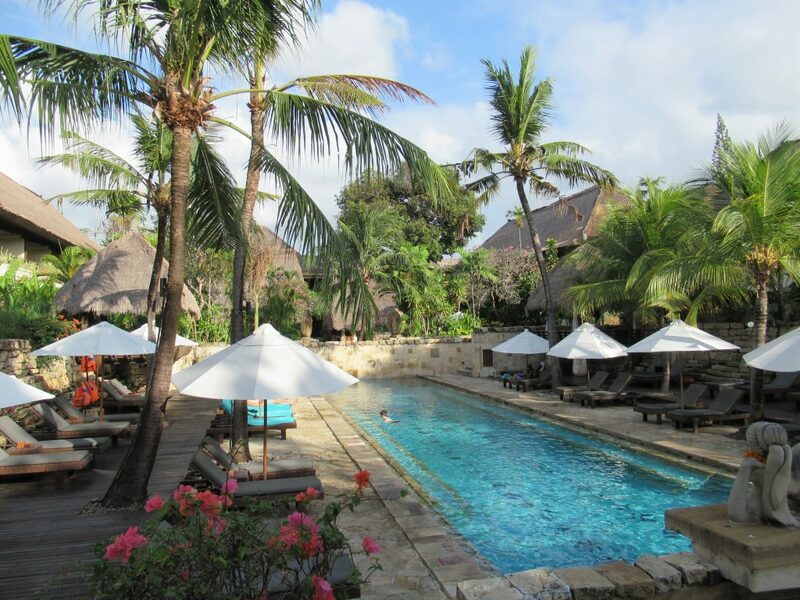 Our flight into Bali from Singapore was delayed by nine hours due to an ash cloud, but once we did arrive at our hotel, it was very pleasant with a comfortable room and good swimming facilities. We boarded Star Clipper late afternoon and after the safety drill we had a very nice afternoon tea on deck, before sailing late evening. 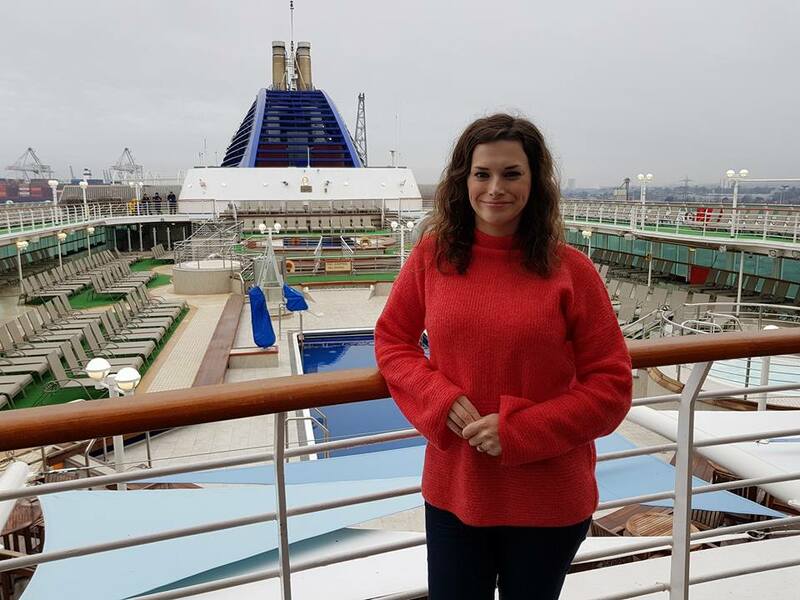 The ship did not sail at her full capacity, as there were only 92 passengers and 76 crew, who were extremely courteous, efficient and friendly. The passenger base consisted of people from Britain, Germany, The Netherlands, America and Australia. Our cabin on Clipper Deck had a porthole, imitation mahogany panels and brass work, which was of a similar design to the tall ships circa 1912. The facilities in the cabin were excellent, with a comfortable bed and a small seating area. Storage was minimal but adequate for seven days, especially as the dress code was smart casual each evening. This meant we avoided having to pack formal wear. 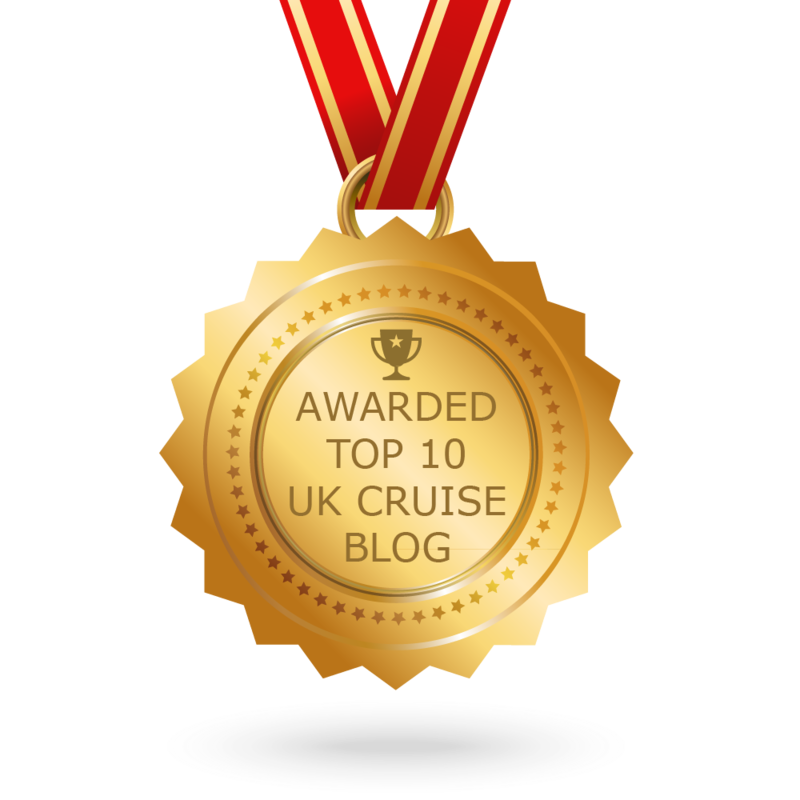 All cabins were equipped with a TV, satellite phone, safe, bathroom and hairdryer. Luxury suites had a mini bar and whirlpool bath. 110V/60HZ sockets were in each cabin, but adapters were available from the Purser’s Office. The Royal Clipper has European plug sockets. 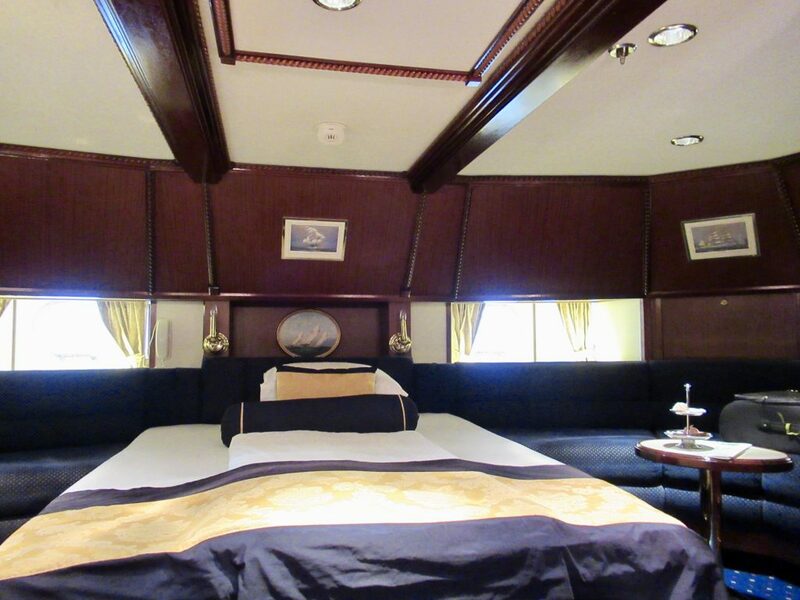 Star Clipper has six different categories of cabin, including an Owner’s cabin. 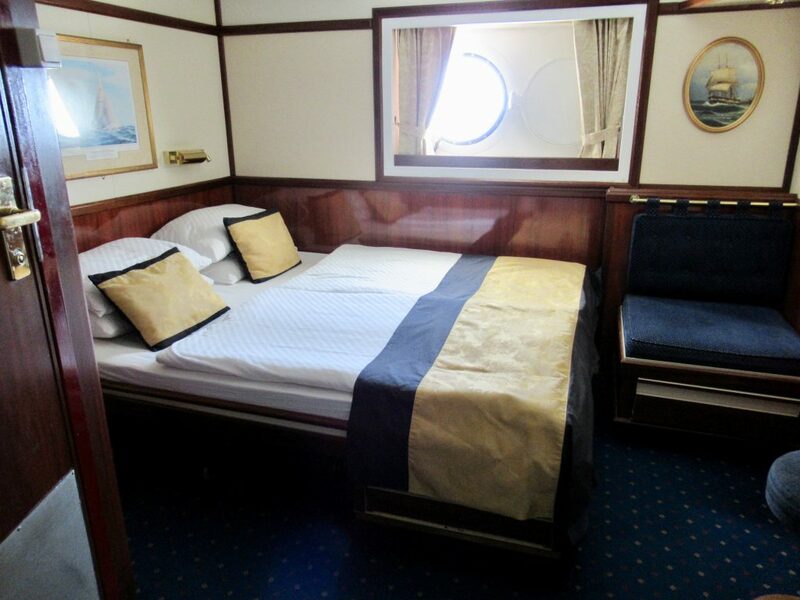 Category 1-4 are outside cabins with bed formations ranging from a double to twin beds or triple berths. Category 6 are inside cabins. 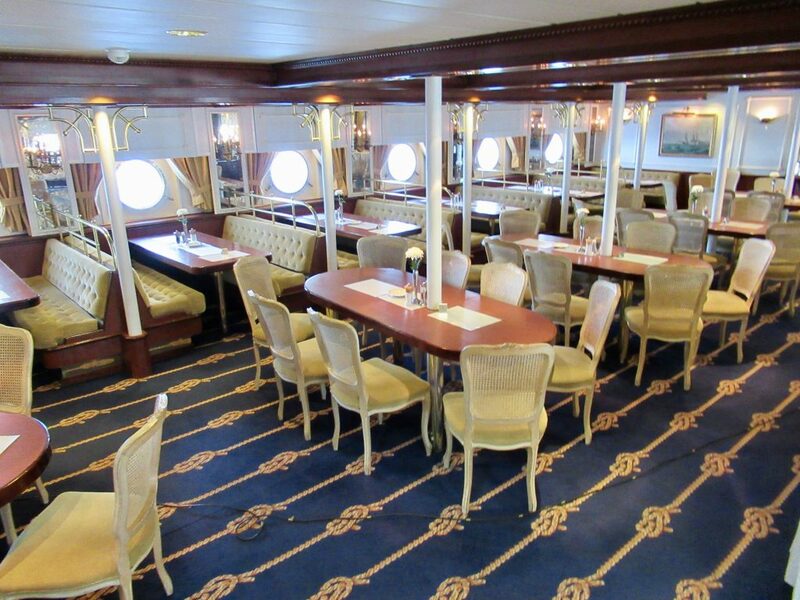 The Clipper Dining Room was open seating, so we didn’t need to make a booking. 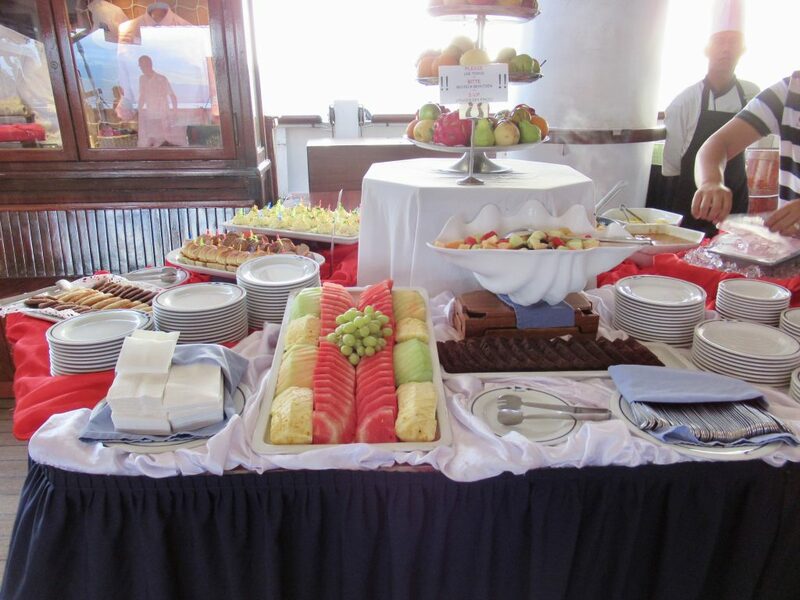 We had a buffet for breakfast and lunch and full service for evening meals. The food and service was very good and we ate European cuisine. 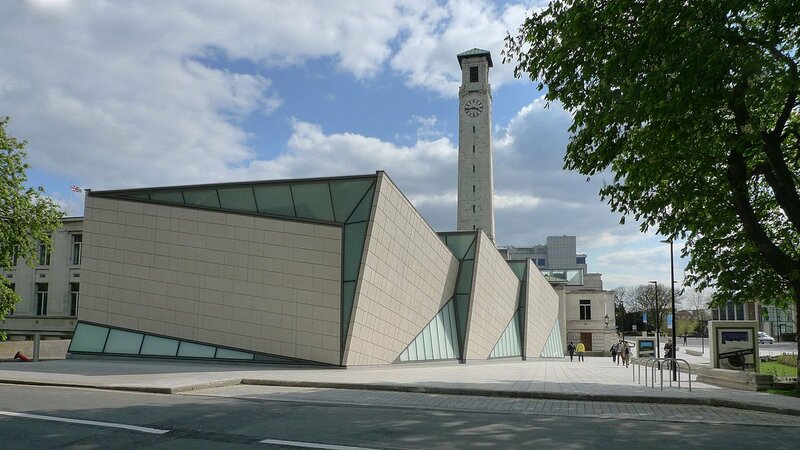 Typically it opened at the following times (although this varied from port to port): Breakfast 8.00am-10.00am, lunch 12.00-2.00pm and dinner 7.30-10.00pm. Shorts were not accepted in the dining room. An early bird breakfast was always available in the Piano Bar from 6.30am. As well as standard meals, you could have midnight snacks, daytime snacks and, on occasion, a lunchtime barbecue. Room service was not available. There was no entertainment on board except for a pianist in the Piano Bar. 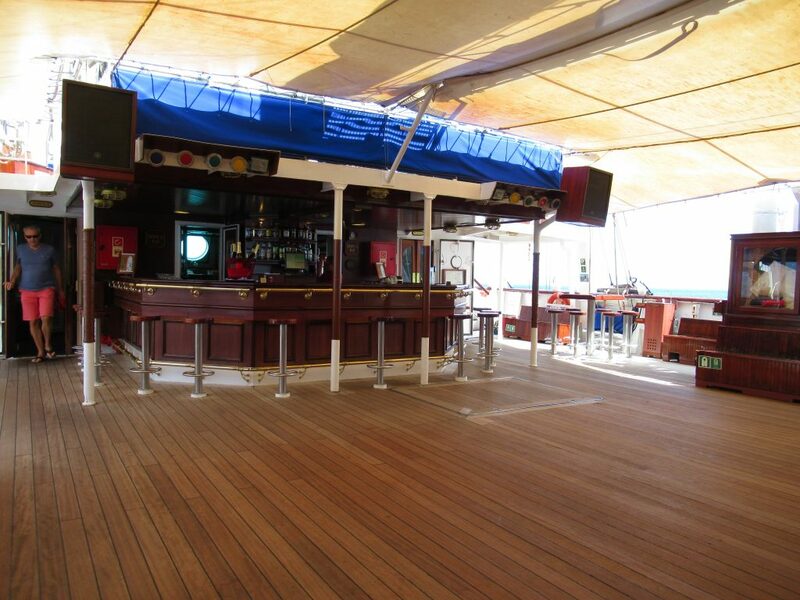 The Tropical Bar in the centre of the ship was the only outdoor bar, which was also used as an afternoon tea venue. Drink prices were reasonable (5-6 Euros a cocktail) but there were no drinks packages on offer. There was a small logo shop where you could buy souvenirs. Prices were high but the quality of the clothes was very good. There was an unattended library, which was a beautiful room. Books were written in various languages, catering for the many different nationalities on board. 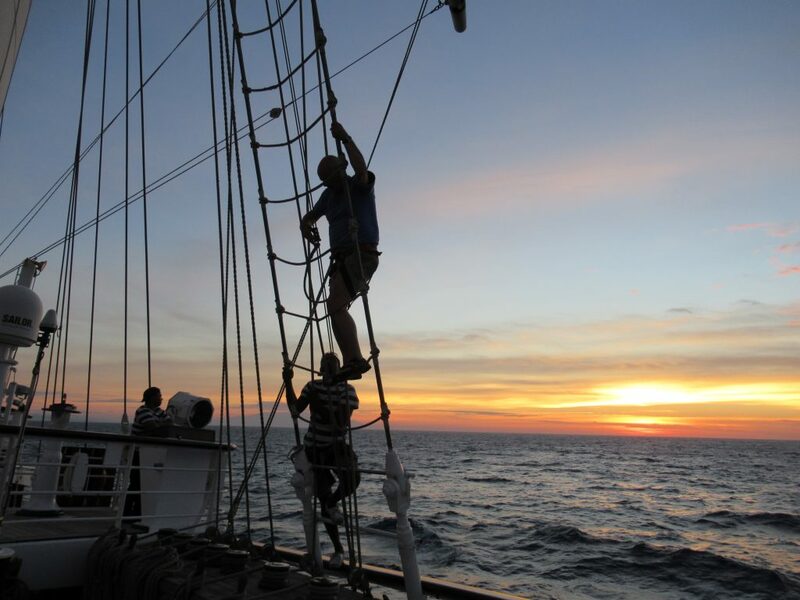 Talks about sailing ships were held occasionally in the Tropical Bar area and you also had the opportunity to climb to the first platform of one of the four masts. On deck there was a small seawater plunge pool near the stern. Beach towels were available at the gangway when we visited beach ports, or at the aft end of the sundeck. 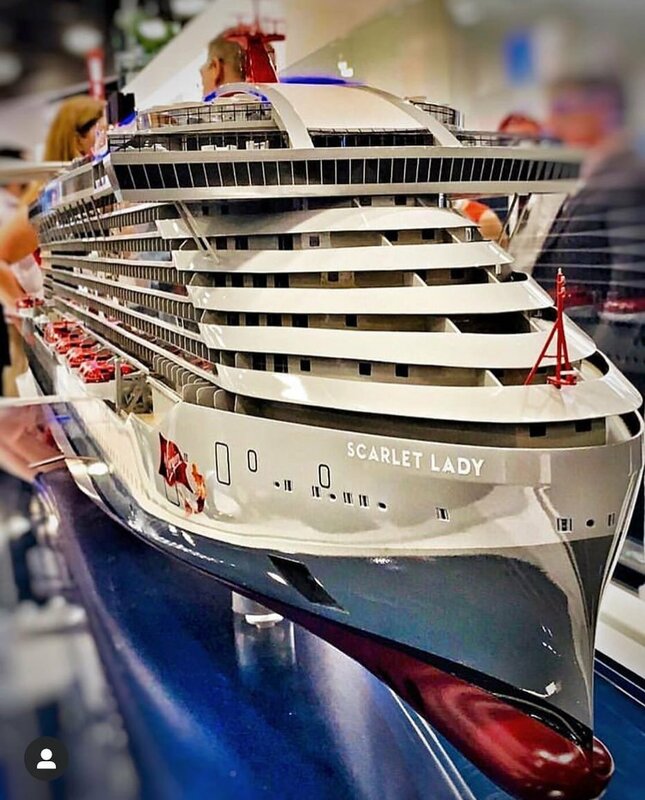 There were a limited number of sun loungers, which suited the number of guests on our cruise, but if the ship sailed at her full capacity, there could be shortages. If you like massages, Star Clipper offered a traditional outdoor Thai therapeutic massage service, as well as sports massages and reflexology. 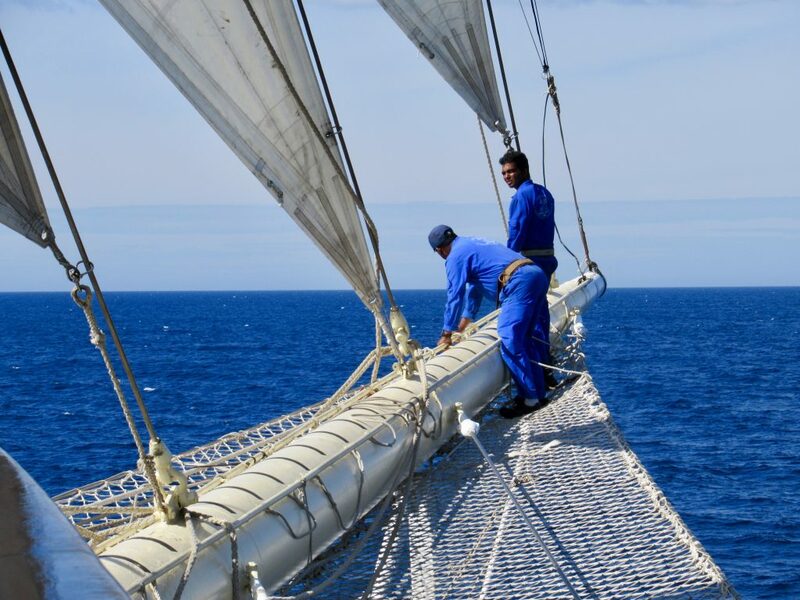 As a working sailing ship there were many obstructions on deck, such as ropes so it wouldn’t be the ideal type of holiday for anyone with a disability. Some of the paintwork needed smartening up, but the ship is going to have a refurbishment in Singapore in 2019. When under sail it was very spectacular. Engines were used, but every day some of the ship was under sail. 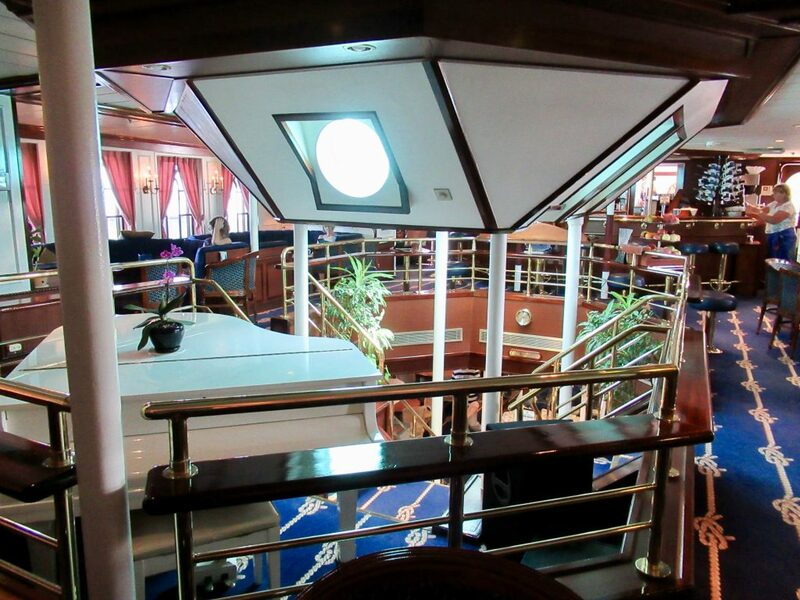 The motion was very smooth and quiet, leading to a lovely relaxing atmosphere on board. 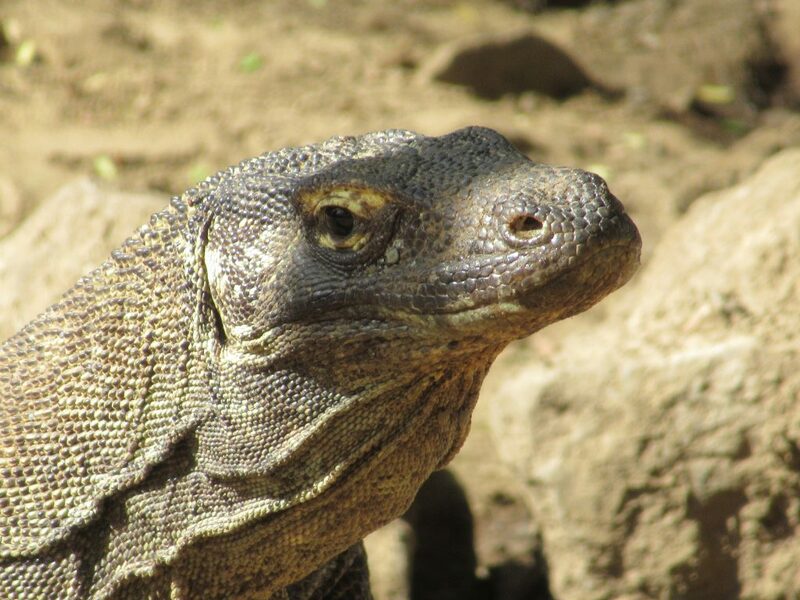 The highlight of our cruise was Komodo Island where the world famous Komodo dragons live. This is a National Park and, once ashore, we were escorted by a ranger in small groups to see the huge reptiles. 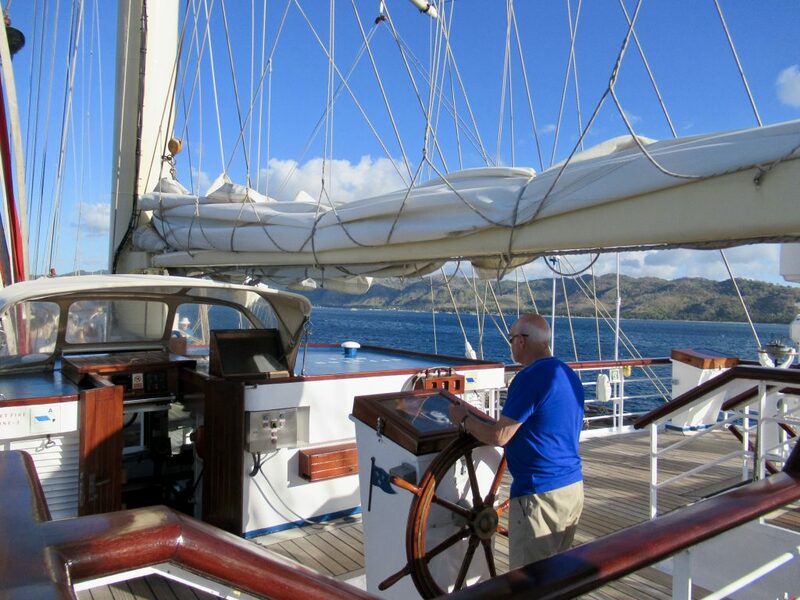 We had a complimentary tour of Komodo Island included in the cost of our holiday. Our other ports were visits to islands with isolated beaches. We did a mixture of sunbathing, swimming, walking and beach activities using the ship’s equipment. Facilities ashore were limited. Landing on the islands was by tender or zodiacs and there was usually a ‘wet’ landing. There was a ladder from the bow of the tender onto the beach and the sea was usually ankle deep below it. 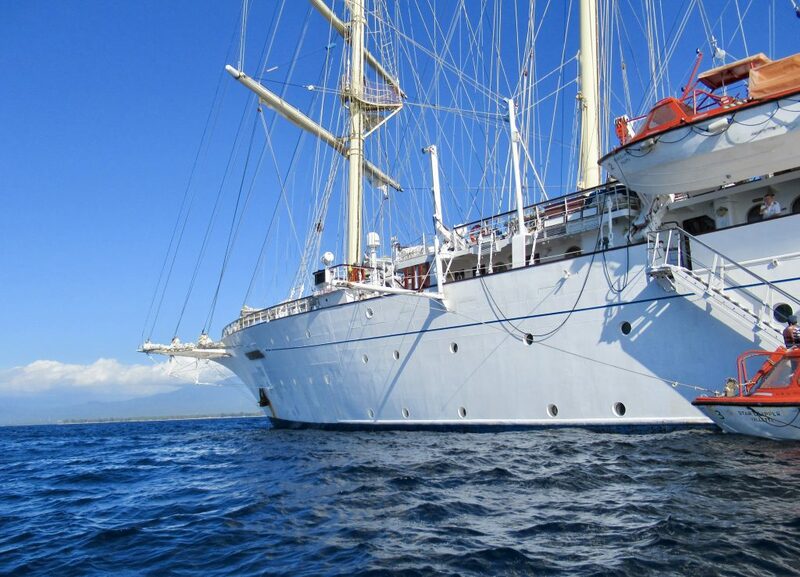 The ship carries two sailing dinghies, kayaks, paddleboards, snorkelling gear and scuba diving equipment. 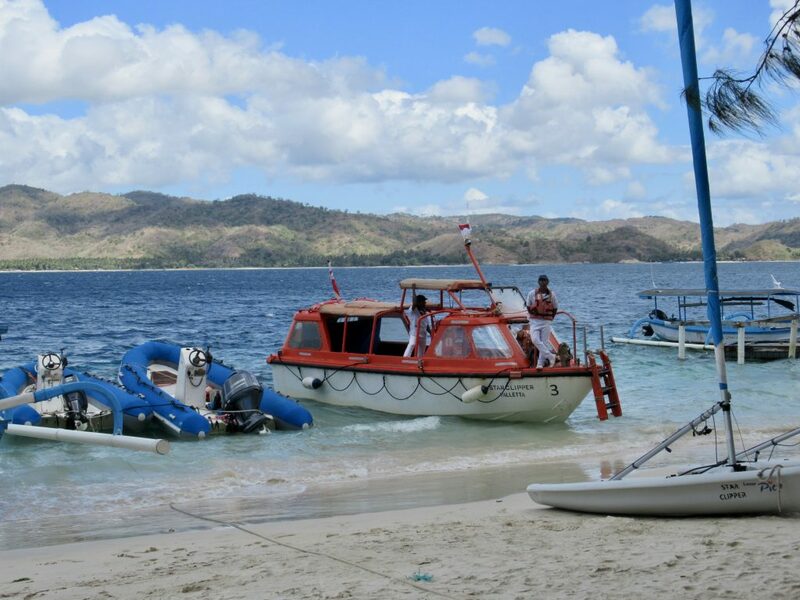 Once ashore windsurfing, water skiing and wakeboarding are also available and are free of charge. The ship sold a range of half and full day shore excursions which could be booked on the ship. 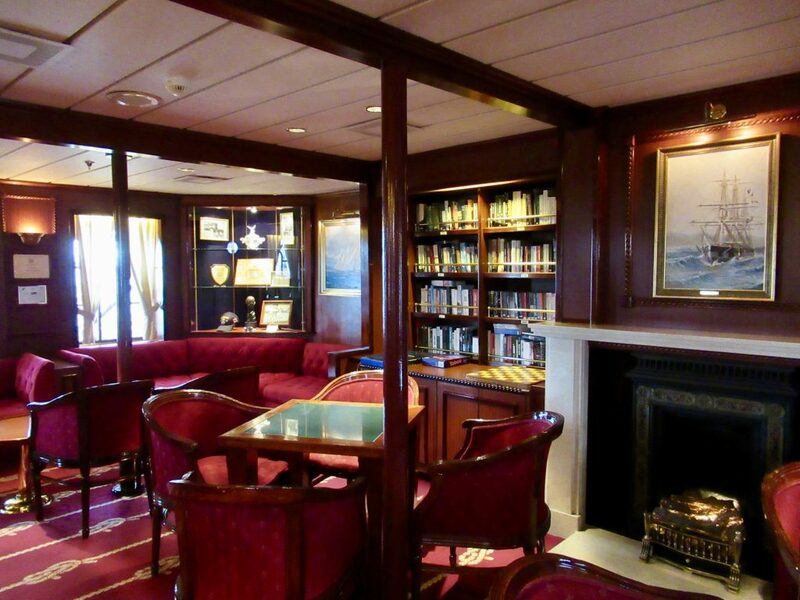 In conclusion, we really liked the atmosphere of such a small and intimate ship. The other guests and the crew were very friendly, and it gave us the opportunity to get to know lots of people from different backgrounds. To be honest we couldn’t find fault with the ship, as there wasn’t anything we didn’t like. It is worth pointing out that the cruise was quite expensive and Bali is a long way from the UK. We also prefer cultural ports, but the beaches we visited were very beautiful and relaxing. 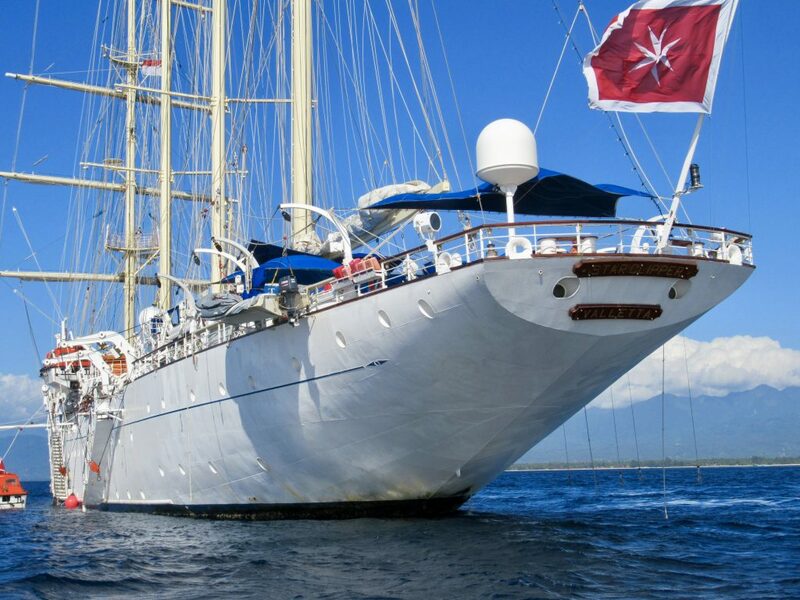 Star Clippers sail to a range of destinations around the world, including South East Asia, the Caribbean, Cuba, the Panama Canal and Mediterranean. You can find out more about them via their website.